Perhaps you’ve just moved into a new home and would like to add your own personal touch or perhaps you own an existing home and it needs some remodeling. Whatever the case may be, it may be time to look at those old kitchen countertops and give them a fresh new look. There are several options you can consider when trying to decide which countertop is best for you. 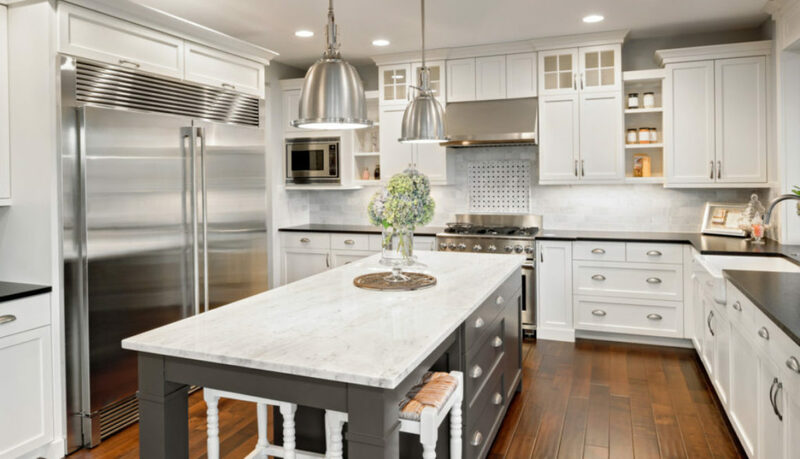 Quartzite is a very popular choice for kitchen countertops because it has the look of marble but is more durable and also has a high resistance to heat. It is also highly UV resistant, so there will never be a worry of fading or sun damage. Quartzite started it’s life as sandstone and forms when it’s joined with quartz under tremendous amounts of heat and pressure. This process makes the quartzite harder than quartz. Some Quartzites have a more durable surface than granite, yet some quartzites have a softer surface than granite. The surface durability varies from slab to slab. There are many quartzite colors to suit your taste. A top seller, Fantasy Brown, is a beach toned quartzite. Another favorite Mother of Pearl has a look that’s similar to marble with veins of green, gold, and gray, and Taj Mahal has a translucent quality to it. 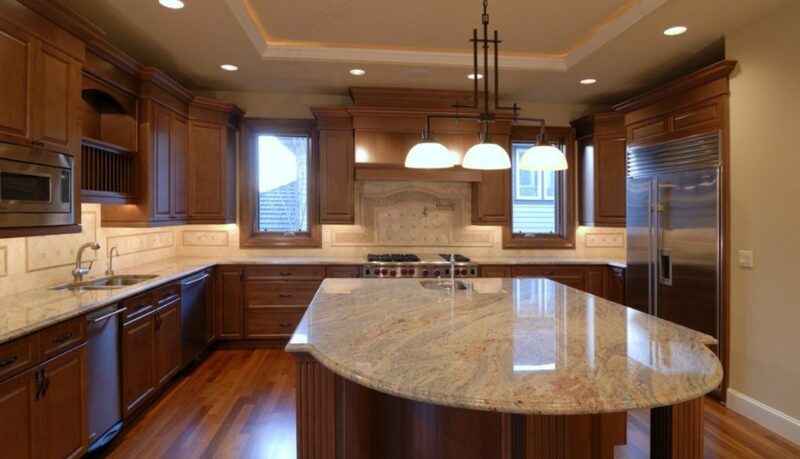 There is a vast range in price when it comes to quartzite, depending on how exotic it is. The thicker the slab or the more it resembles marble, the higher the price may be. Fortunately, the more common quartzite becomes, the more the price goes down. There is not much fuss when it comes to cleaning quartzite countertops. Just soap and water will suffice as long as any spill is cleaned up immediately. There is no need for any special cleaning products.